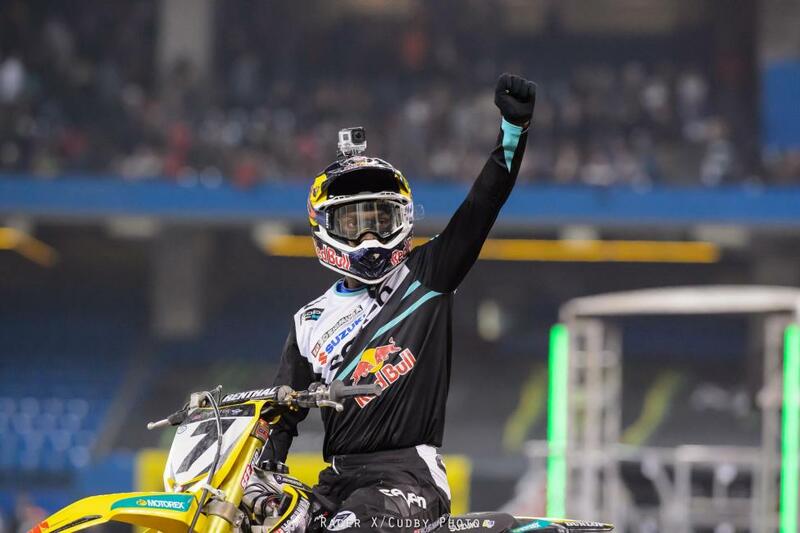 Perhaps it was best fitting that on a historic night James Stewart unleashed Bubba. This was a flashback to the dominant days. The days where Stewart would jump things no one else could jump, and pass riders at will. This was vintage James Stewart. 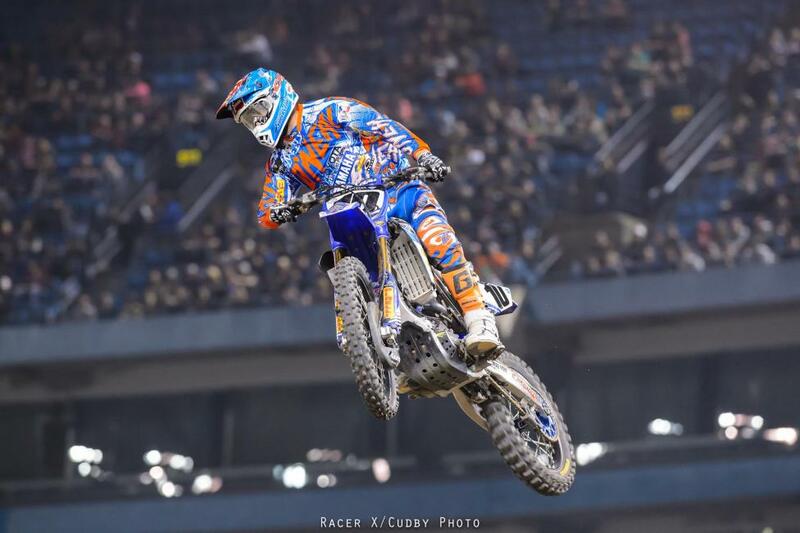 His fourth win on the season marked the 49th of his career in AMA Supercross, passing Ricky Carmichael for second all-time. 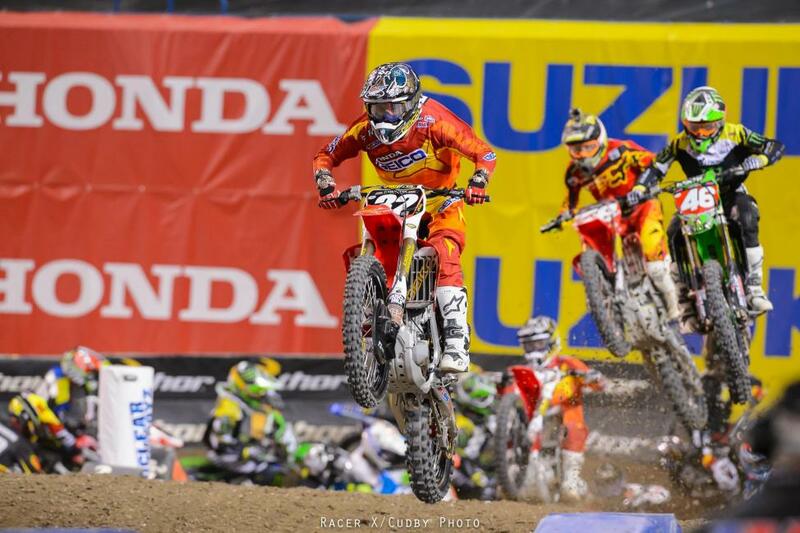 “As I finished the race, that’s when it all hit,” said an ecstatic Stewart, of Yoshimura Suzuki, after the race. Stewart’s monumental win wasn’t the only history made in Toronto. GEICO Honda’s Justin Bogle, on the heels of a career-best second in Detroit, rode to a dominating win in 250SX, the first of his career. 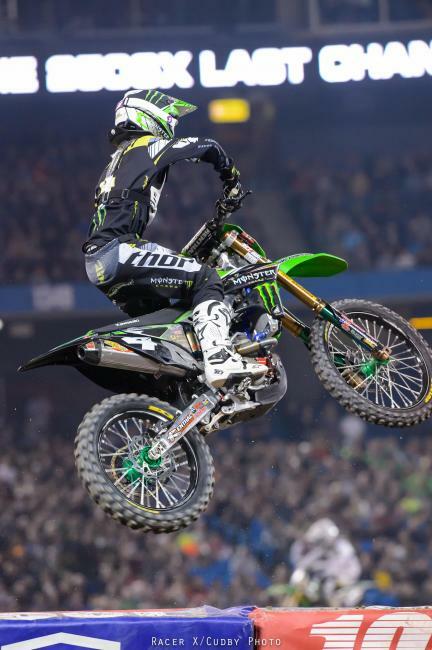 The biggest news in 250SX may have come during practice, though, when points leader Adam Cianciarulo went down hard in the whoops and suffered a shoulder injury. 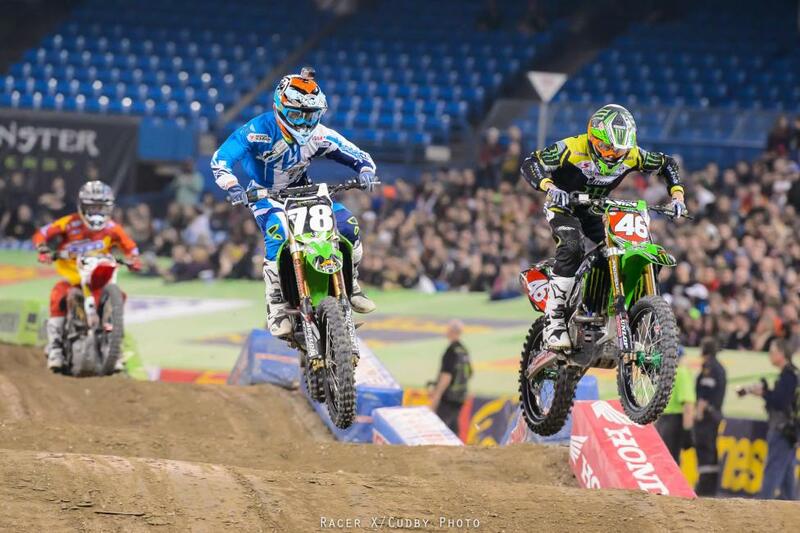 Cianciarulo was able to gut out the second timed practice and his heat race. But in the main the wheels came off. While in second, Cianciarulo’s shoulder popped out for a second time, ending his night and his time atop the points lead. With a second place finish, Monster Energy Pro Circuit Kawasaki's Martin Davalos has taken back command of the East Region. 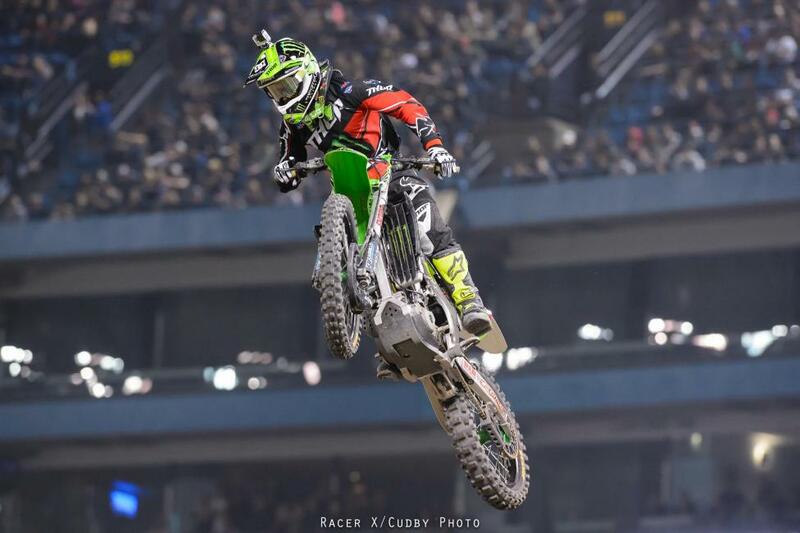 He currently holds a four point lead over Cianciarulo and a five point lead over Bogle. JAB Motorsports’ Matt Lemoine would finish third for his first career podium after holding off a late charge from Blake Baggett and Jeremy Martin. 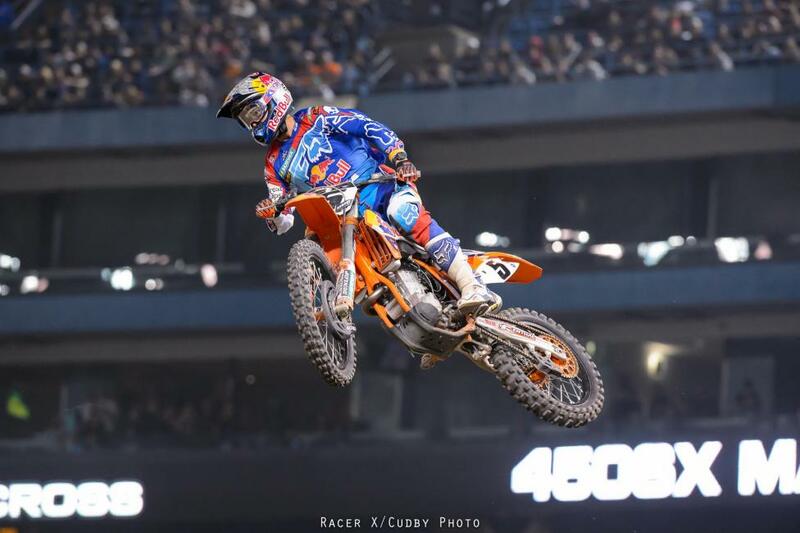 Although never in the mix for the win, Dungey once again put together a consistent twenty laps to finish third and pick up valuable championship points. 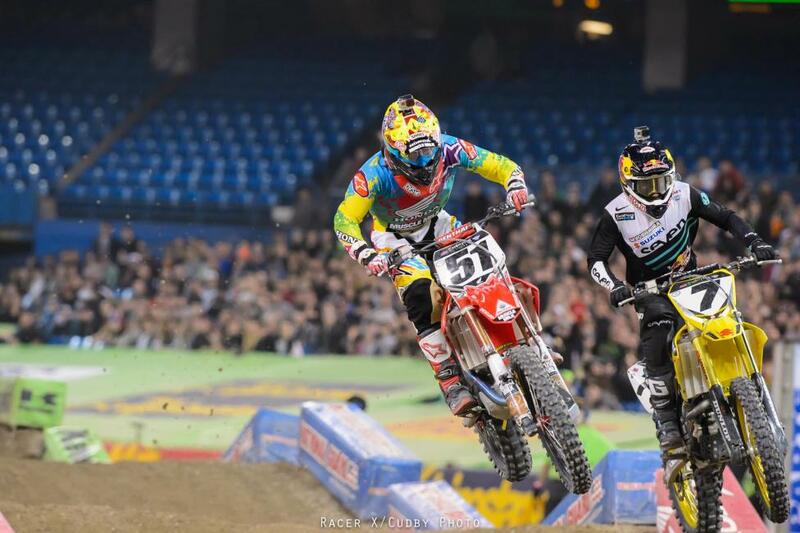 He couldn't hold off Stewart or get Barcia but he did get around Roczen. 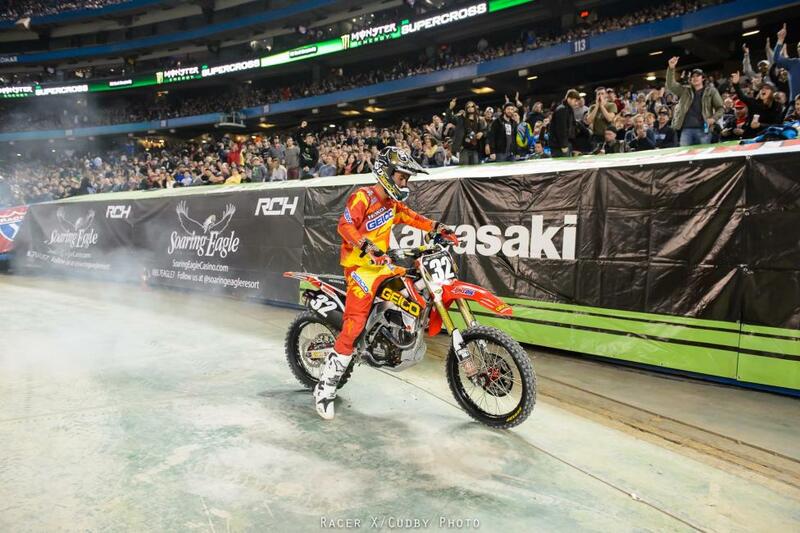 Stewart eclipsed Ricky Carmichael on the all time AMA Supercross wins list with his 49th career win—his fourth of 2014. 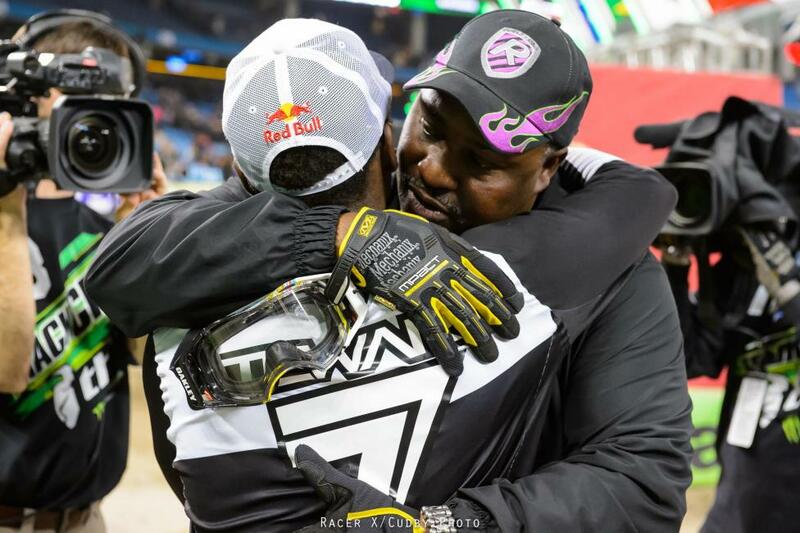 James junior and senion share a classic father and son moment following the race. After inheriting second from AC, Davalos never was able to challenge Bogle, and had to survive a late crash to hold on for second. Davalos holds the points lead for the first time all season. Justin Bogle celebrates his first career win in classic fashion. It was crazy up here in Canada. James Stewart rallied from about 10th to win his second 450 main in a row, he was jumping crazy stuff all night and caught Justin Barcia, who led the first half of the race. Barcia was second and Ryan Dungey took third. Kenny Roczen was battling with Barcia early but faded down the stretch, Justin Brayton overtook him for fourth and Roczen took fifth. 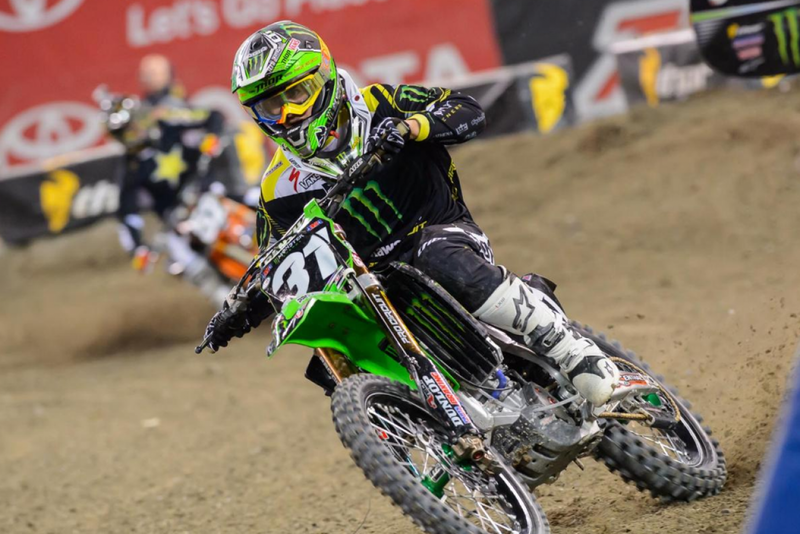 Bigger news for points leader Ryan Vilopoto, who was dealing with food poisoning all day and didn't ride practice--at all. He held up when it counted and scored sixth to salvage a bunch of points. 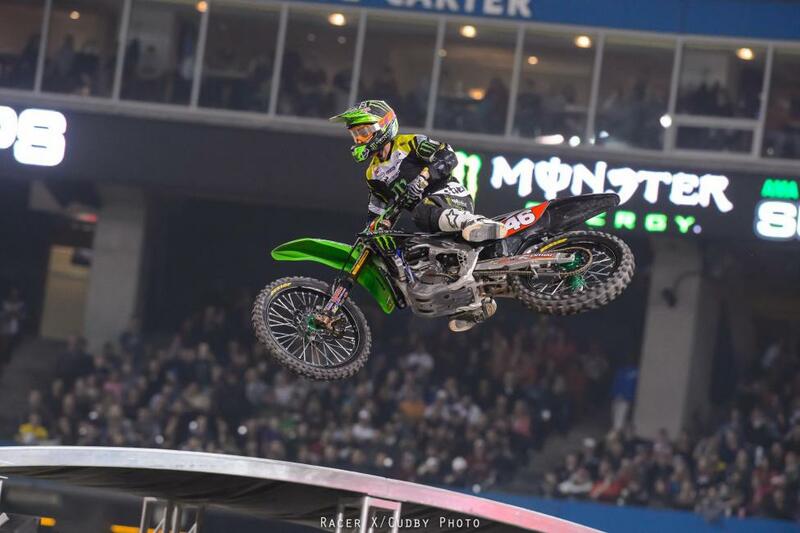 It wasn't as good for 250 East points leader Adam Cianciarulo, who crashed and popped his shoulder out of the socket in practice. He came back to practice and race but the shoulder gave out in the main when he was in 2nd, he popped the shoulder BACK IN and tried going back out, but was unable to keep going more than a lap. 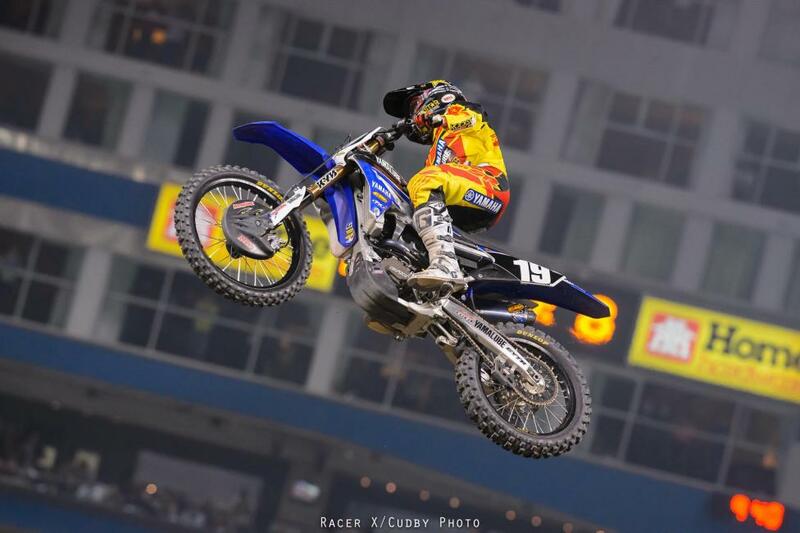 Meanwhile, Justin Bogle crushed it en route to his first 250SX main event win. 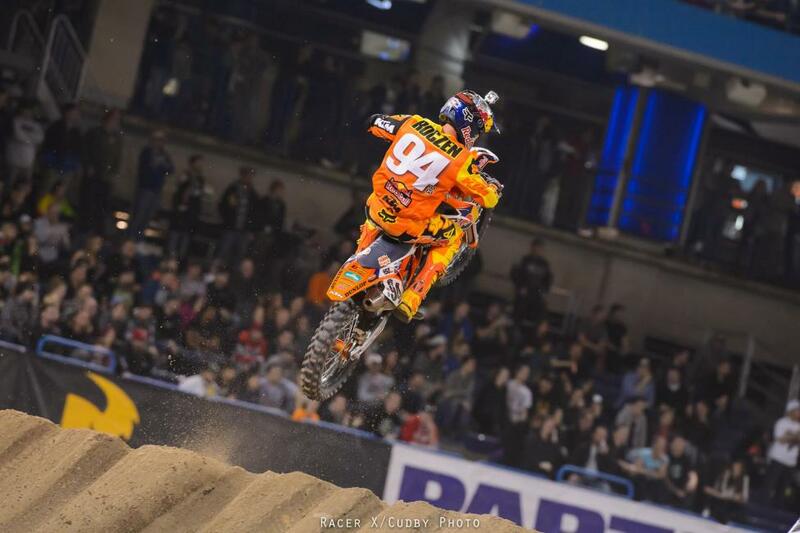 Martin Davalos had a crash but finished second ahead of privateer Matth Lemoine. Davalos now has a slim points lead over Cianciarulo.